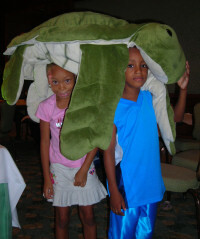 The Wider Caribbean Sea Turtle Conservation Network (WIDECAST) is an international scientific network comprised of volunteer Country Coordinators (mainly sea turtle experts, natural resource professionals, and community-based conservationists), an international Board of Scientific Advisors, and Partner Organizations in more than 40 Caribbean nations and territories. 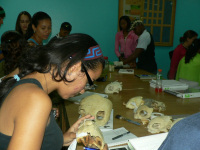 The network has been closely affiliated with the UNEP Caribbean Environment Programme since its inception. WIDECAST is rooted in the belief that conservation must be nurtured from within, it cannot be commanded from outside. 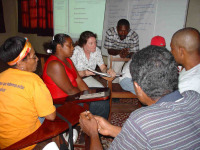 Each Country Coordinator works closely with a national coalition of stakeholders, including biologists, conservationists, resource managers, resource users, policy-makers, educators and others, to ensure that everyone has access to the dialogue, as well as to the unique products and services of the network. 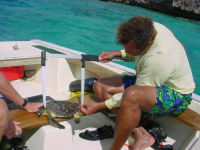 The Wider Caribbean Sea Turtle Recovery Team and Conservation Network, as it was called at that time, began organizing a team of consultants and experts to develop and implement the recommendation. 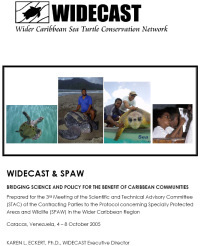 From its inception, WIDECAST’s approach for achieving a “Wider Caribbean Sea Turtle Recovery Action Plan” has focused on bringing the best available science to bear on sea turtle conservation and management, and empowering stakeholders to make effective use of that science in the policy-making process. Science is made accessible through the development of standard guidelines and criteria that emphasize sustainability, helping to ensure that utilization practices, whether consumptive or non-consumptive, do not undermine sea turtle survival over the long term. To facilitate and strengthen local involvement, WIDECAST develops pilot projects, provides technical assistance, and supports a variety of initiatives that build capacity within and among range States. 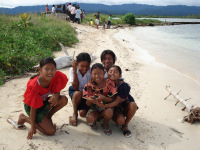 By encouraging participation by all sectors of society, WIDECAST puts science to practical use in the conservation of biodiversity and advocates for grassroots involvement both in decision-making and in project implementation. 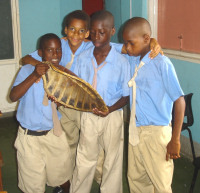 The fact that examples of rising population trends can now be identified for every Caribbean sea turtle species is among the many tangible results of such active coalition-building and mutual support. 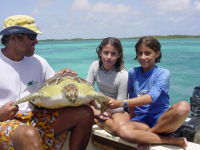 In joining together to protect future options with regard to the use of sea turtles, participants in the network recognize essential linkages between a healthy Caribbean ecosystem and economic prosperity for Caribbean people. A thriving biodiversity base brings economic choices, economic diversity, and economic wealth over the long term, whereas a depleted resource base is more likely to invite economic dependence, restricted choices, and poverty.